As all other smartphone manufacturer announced about their flagship devices, Its time for Motorola. Company about to launch the Moto X 3rd generation device with very advanced hardware and specifications. We followed the speculations moving all around about the Moto X 3rd generation and its time to give something promising as a result note. If reports are to be believed, Motorola is coming with next generation flagship device with awesome specifications. Check out the leaked specifications by various sources online. Still there is no release date is confirmed but As Motorola launched the two previous installment of the device Moto X first and second in same interval of time its been expected that company will follow the same month for release. Moto X first generation was announced on August 2013, second was released after the one year. Same way its rumored that company will launch the advanced device in coming august. Its been expected that the Moto X 3rd gen. will give tough competition to the Galaxy S6, HTC One and LG G4 which have the same specifications. Motorola manufacturer launched new Advanced smart watch Moto 360 worth Rs. 19,999. It is the Metal band similar to other variant and will be available of Flipkart website to purchase. Metal band features butterfly clasp and tri-link design. It is available in light and dark colors. Alternatively Leather strap watch is available at Rs. 17,999 on Flipkart. Moto 360 sports the following Advanced specifications. Additionally Moto 360 has the built in pedometer and heart rate monitor. It has alos bundled up the Heart activity tracker app. Smart watch can withstand water damage up to 3.3 feet for maximum of 30 minutes. It has single physical button, vibration motor and dual microphones. Motorola 360 device is compatible with Android device running on 4.3 or above version and can take voice commands as well. It has the Bluetooth 4.0 support. Classic wristwatch is compatible with most of the android device running Android 4.4 or above. You can take work from it by voice commands. Say “Ok Google” and let it allows to text, set reminder and even you can get the directions as well. 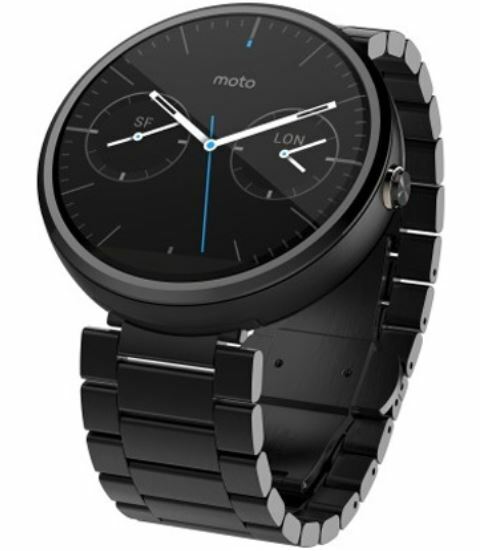 Moto 360 supports the wireless charging ans has 46 mm diameter and11.5 mm high. It has the 49 gram weight. Motorola India offers 10% off for SBI credit and debit card holders. Budget smartphone with Advanced network support and Latest android Lollipop operating system will go live tonight. All the device specifications are great. Moto E 2nd Generation is for the Brand lovers who wants the cheap smartphone from trusted brand. Operating system, Processor, Storage, RAM, Battery and Network, everything is just perfect and above the expectations. Motorola gives the Android Lollipop experience at affordable price range. It has the curved design so you can carry on your palm very easily. It also offers Corning Gorilla Glass and also has the anti-smudge coating on screen. 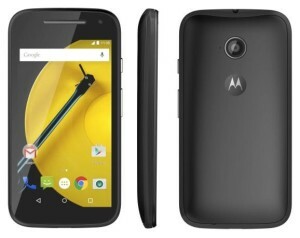 Motorola’s Trending Moto E 2nd generation device comes under two variants. Moto E 2nd gen. 3G and Moto E 2nd Gen. 4G. Previous Moto E 3g has tough competition with Redmi 2 Xiaomi device at the same price range. 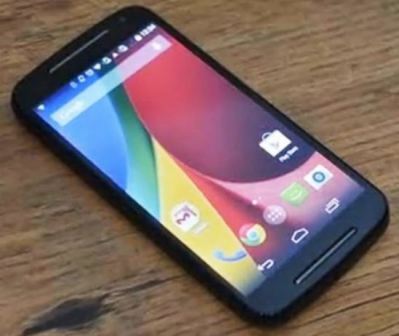 Motorola now unveiled the new Advanced smartphone device in variation of the network support. Selling of the Motorola will start first with the Leading online E commerce store Flipkart in India. Flipkart also mentioned the “coming soon” label on its selling page. As per the sources, Flipkart also pushed out the notifications to their Apps users with Moto E 2nd Generation 4G launch date of 13th April. Moto E 2nd Gen 4G is quite similar to the Moto E 2nd Gen 3G smartphone device in specification. The only variation in the network support. Check out the detailed description of the device below. It has the healthy battery life, designed for last all day long. It also give you latest Android Lollipop experience and powerful smoother experience with the high end processor support. It has curved design so its easy to handle in your palm. It has the water-repellant coating and Corning Gorilla Glass and also has the anti-smudge coating on screen. Its the well design phone at affordable rates.